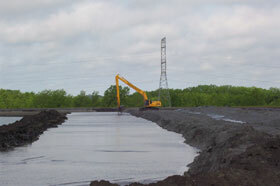 Commercial earthwork and storm sewer operations. Specializing in power plant material management. 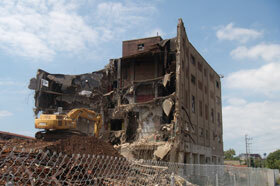 Commercial or residential demolition and disposal. 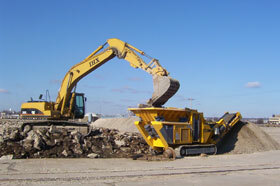 Save money by crushing concrete on site for re-use as gravel base. We solve your stormwater management problems. Call 309-691-9894 to request a free quote. 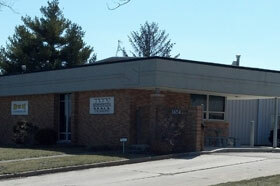 Servicing Central Illinois. IronHustler Excavating provides the full spectrum of construction and demolition services from our offices located in Peoria, Illinois. We believe in providing the best services available to get the job done on time, on budget, and without complications. Our customers trust our job performance and 90% of our business is repeat business. 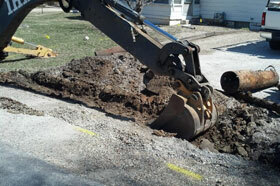 At IronHustler Excavating, every field supervisor has many years of project experience. We are proud to offer hands-on ownership involvement in each job we perform. Our low overhead transfers savings to the customer and we are able to dedicate our equipment to your specific project through completion. 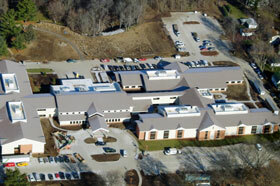 Our strong relationships with our sub-contractors mean no hassles and quick responses. We offer site solutions and systems customized to your specific needs. Contact us today for a free consultation. Copyright © , IronHustler Excavating. All rights reserved.